MPs are debating ending EU nationals’ right to live and work in the UK. But Parliament’s human rights committee says new laws could leave EU nationals, including those who have paid UK taxes for years, in a “precarious” situation. “We want them to stay and, whatever the outcome of the ongoing discussions about our exit from the EU, we will protect their rights and ensure they get the UK immigration status they need,” a spokeswoman said. Theresa May has said EU citizens in the UK will be able to stay even if Britain leaves the EU without a formal withdrawal deal. They would also keep their social security rights. However, MPs and peers on the human rights committee have raised concerns that the Immigration and Social Security Co-ordination (EU Withdrawal) Bill could leave people in a “rights limbo”. “Although the government has said that it is not its intention to strip EU Citizens resident in the UK of their rights, that is the effect of this bill as it stands,” the report says. Its chair, Labour MP Harriet Harman, said: “We’re talking about the rights of people who have resided in the UK for years, decades even, paying into our social security system or even having been born in the UK and lived here their whole lives. 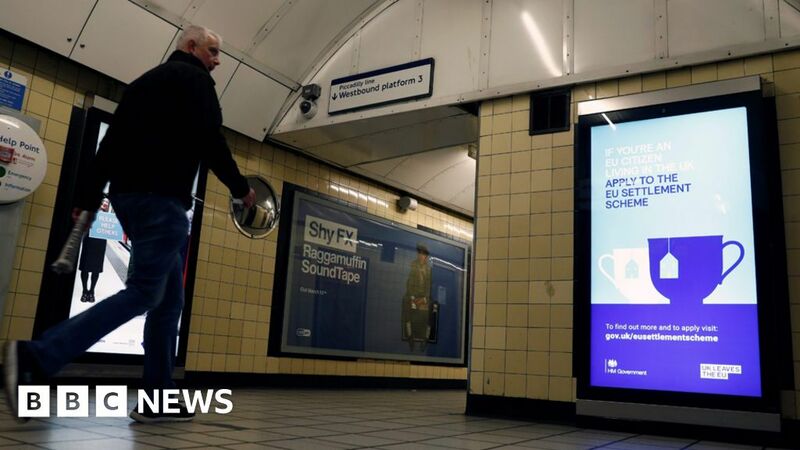 The Home Office spokeswoman said the settlement scheme was designed to be “as simple and straightforward as possible” and that the government had launched a nationwide marketing campaign to encourage EU citizens to apply.